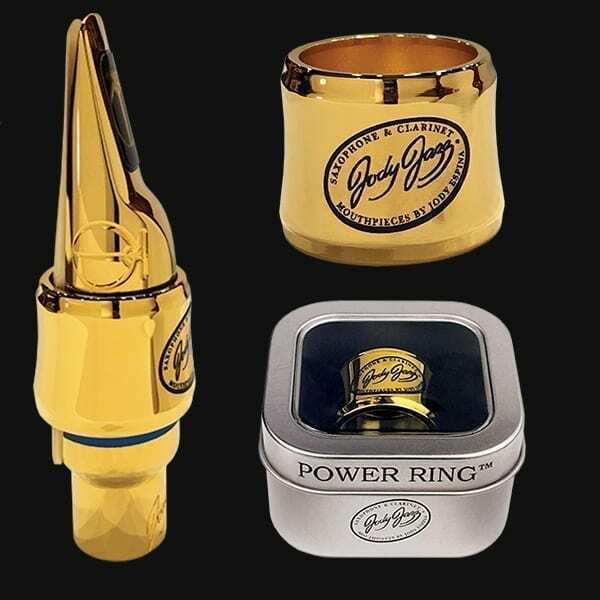 Also Available for purchase is our proprietary JodyJazz POWER RING Ligature click here for more info. The new facing curve results in absolutely no dead spots in the vibration of the reed. In other words, all notes in all ranges respond equally. This tenor sax mouthpiece has a husky barrel-chested tone while being able to sing and soar over the top of any band. Sub toning and low notes are extremely easy and the altissimo is out of this world. Intonation is spot on. Be prepared to have possibly the most fun you ever have had on the saxophone. Players who now or in the past have played Guardala, Dukoff, Beechler, Jumbo Java, SR Tech, Vandoren V16, Yanigisawa, or any of the bright mouthpieces out there will be sure to love The DV. This is not just another bright mouthpiece. There will be noticeable differences and improvements. I have found that many straight ahead jazz players who tend to favor mouthpieces that are just a little brighter than most mainstream dark mouthpieces have a very high chance of making the DV their new tenor mouthpiece. We have had many, many converts who came from playing the most popular hard rubber Jazz piece. These players almost always think that they won’t like a metal tenor mouthpiece and they are surprised every time. All saxophone players are amazed to find a saxophone mouthpiece that works so efficiently, where the articulation is clean and one can easily go from low to high and vice versa. The DV is manufactured on the most sophisticated computer controlled Lathes and Mills, yet the DV benefits from a high degree of hand finishing. The attention to detail in design and finishing given to the DV results in a stunning work of art that plays like a dream come true. What Does The DV Do? How Does The DV Do It? Due to the free blowing nature of the DV tenor and all the DV's , be prepared to use a harder reed than you normally do. This may or may not be the case for you. 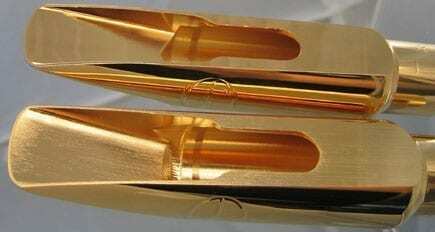 The great benefit of this is that a harder reed lasts longer and a harder reed helps the altissimo range. For this same reason, you may want to try a slightly more open tip than normal. For example, Otto Link # 7 players, will usually play a DV 7*. Just purchased a Tenor DV and an HR mpc for my late model Mark VI from wwbw. I want to share my experience with you. 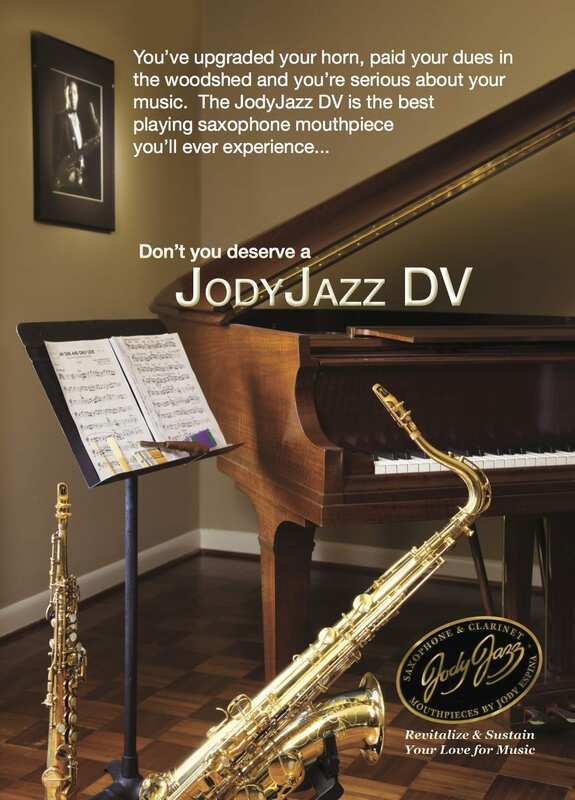 I use the HR when playing along with my sax students but the DV is for me. Like most sax players the perfect mpc is the holy grail............I know you've heard this many times. I was reluctant to switch from my Sugal which I've played for years but was frustrated with a weak low end and inconsistent altisimo. So I gambled and tried your 7* DV which is not as open as my Sugal at 118. But I wanted a fatter and more reliable low end. The DV came through. It took a little experimenting with reeds. My broken in reeds didn't play very well and I realized that a stiffer reed was required. I'm using Alexander and Rico Jazz #3. They do the job. I do a smooth/contemporary jazz gig and the projection is great and amazingly the speed of my playing has greatly improved. The notes seem to pop out almost before I hit them. The stuffiness of middle D is gone. I thought it was a leak in the horn or just the nature of my "VI". But I now have a solid middle D !! I'm also discovering improved intonation on palm keys and higher. Truly a great mpc. For the HR I found a good set up using Alexander NY reeds. It's a sweet mpc, very versatile, but I need to spend more time with it.